If at-home workout is on your agenda, we are here to help you achieve it. While your public affordable gym might be easy to get into bu not worth its worn-out quality and management, the high-end gyms can sweat our the pockets even before they reach the adipose tissues. In case of at-home workout, a few cost-effective equipment can always come in handy in order to give the best result of your workout. Let us look into a few. This is a full upper-body workout small equipment that packs a bigger punch than it sizes up to. The wheels ensure that your shoulder and arms have have impacts from pushing it forward and pulling it back during abdomen exercises. balance and core-strength are also tested with this equipment. Foam roller is all about healing the pains in muscles and nerves. These are specially customized to heal parts of your body post-workout. Every design, size and shape of individual foam rollers are customized for different kind of soothing of different parts of the body. Side planks with leg raise just became a lot easier to hold with the pilates ring. These strong padded rings make sure that your raised legs stay in place during side-planking a lots of other exercises. Being soft as well as durable when i comes to bending in the right way, the pilates ring helps in toning exercises the best. These sleeves are extensively made for our joints. They help in faster soothing in muscle cramps, aches, arthritis etc. Often, we might injure a muscle or face muscle pulls in the wrong moment of workout. By wearing these sleeves, these injuries are lessened and healed faster. Resistance bands, similar to pilates ring, help in toning the body with the help of our own body-weight. Being one of the most cost-effective, these bands help you lose the lumpy areas steadily. Make sure to follow the instructions to lessen the risk of injuries. Stretches and intermediate yoga is the best at-home workout you can perform. Stretching can be a little difficult in the beginning but not to worry. Stretch-out straps help us reach the stretch and improve the flexibility of our core strength. These is the most entertaining and calorie burning workout if you love to exercise in rhythm and beat. Zumba helps shedding extra pounds as well as let you perform a full body-dance routine while you’re at it. Not at all times are the classes nearby. So a few DVD packs or plain YouTube videos can save the day. 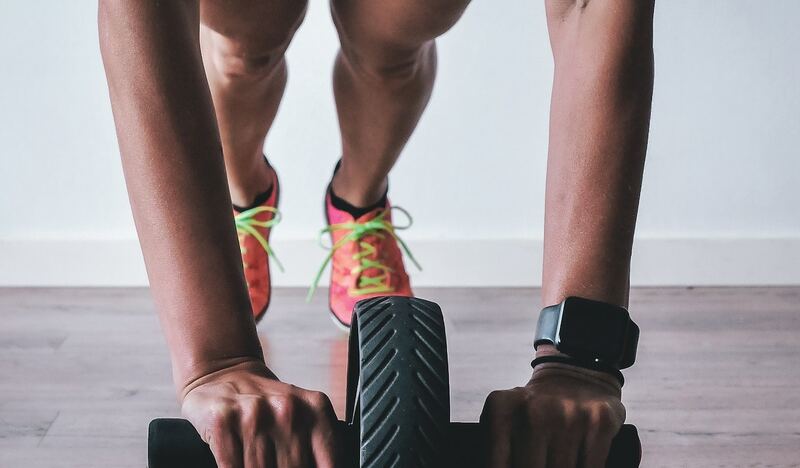 These options can help you keep a consistent workout routine in the comfort of your own home. « Tips To Frame Your Hair At Home!